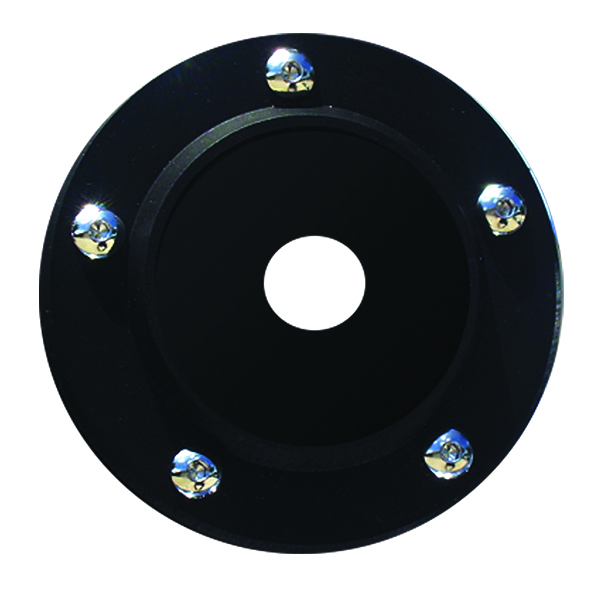 1 3/4" Diameter Coins or Medallions fit in "Black Max 1.8 Harley Timing Cover". Black Max 1.8 Timing Cover - designed to maximize its full potential with a 60 degree slope, Max's stout, rugged personality comes through when mounted on a Harley motorcycle engine. • Easily mount and remove a 1-3/4" challenge coin on your Harley engine. • MotorDog69's timing cover is designed to show off your challenge coin, rugged and durable, powder-coated matte black to match Harley's matte black finish and is made of 100% Milwaukee metal. Gloss black finish also available, please specify. • A 1-3/4″ challenge coin is non-permanently mounted with a small amount of High Temp. RTV silicone. • Black Max 1.8 Timing cover is mounted to your engine with 5 new stainless steel bolts, (included). • The Black Max 1.8 Timing Cover and coin will not rattle off your Harley engine if you follow MotorDog69's instructions. 2 hole MPC's can be custom made for many S&S engines.